In 2005 I produced a CD for the Spanish jazz label, Fresh Sound New Talent. It features a very special progressive jazz trio, with my extreme music making buddies; pianist Bill Carrothers & The Bad Plus drummer David King. It is a project unlike any other I have ever worked on. We went into the studio and just played spontaneously. What was recorded is just unbelievable! Some of the pieces feature prepared piano with various objects laying on the strings. Dave bows an exotic metal percussion instrument (a Waterphone) for some eerie sounds. 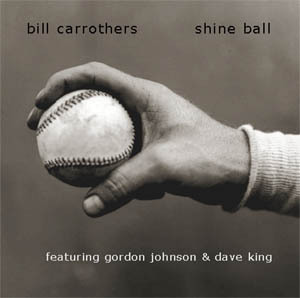 It was originally intended to be a session for my ongoing TRIOS series, but it became a Bill Carrothers CD by default, featuring Dave and me. Click on the CD cover above for additional info from Bill's fantastic website. You can also buy your very own copy of Shine Ball right there. 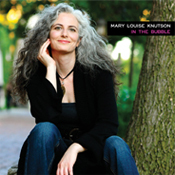 Vocalist Connie Evingson has released "Little Did I Dream". 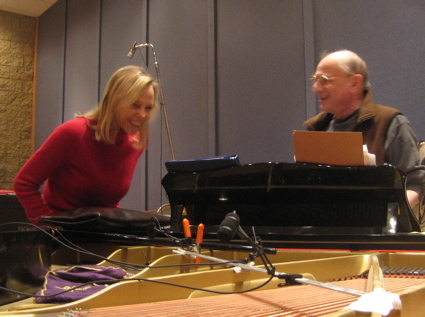 It is a project featuring the music of Dave Frishberg, and Dave actually played piano on the sessions. Also along were drummer Phil Hey and saxophonist/flutist Dave Karr. We had a really GOOD TIME and it's a great CD! 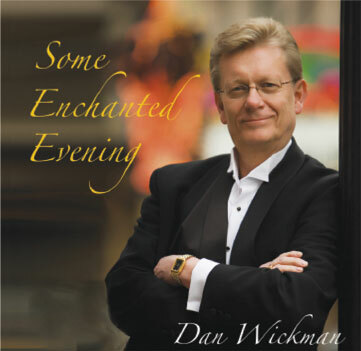 I did music prep, arranging & studio production for vocalist Dan Wickman on his new "Some Enchanted Evening" CD project. Laura Caviani & Phil Hey played piano & drums with us at Wild Sound. Pete Whitman also played sax. A truly elegant offering by Dan. I recently performed on THE HIGH ABOVE AND THE DOWN BELOW with great singer/songwriter; CLIFF EBERHARDT. 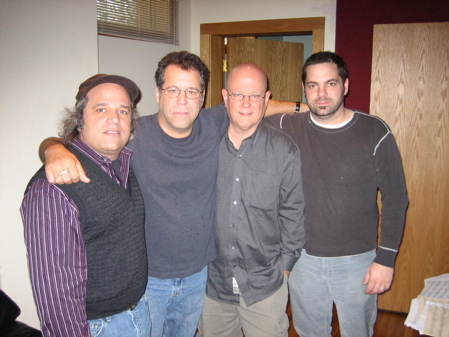 It is on the Red House Records label, produced by Eric Peltoniemi, featuring Rich Dworsky on keyboards and J.T. Bates on drums. WOW, what a nice band and what a great bunch of tunes by Cliff! Now available! #5 album of the year by USA Today critic Elysa Gardner! "IN THE BUBBLE" It's fantastic!